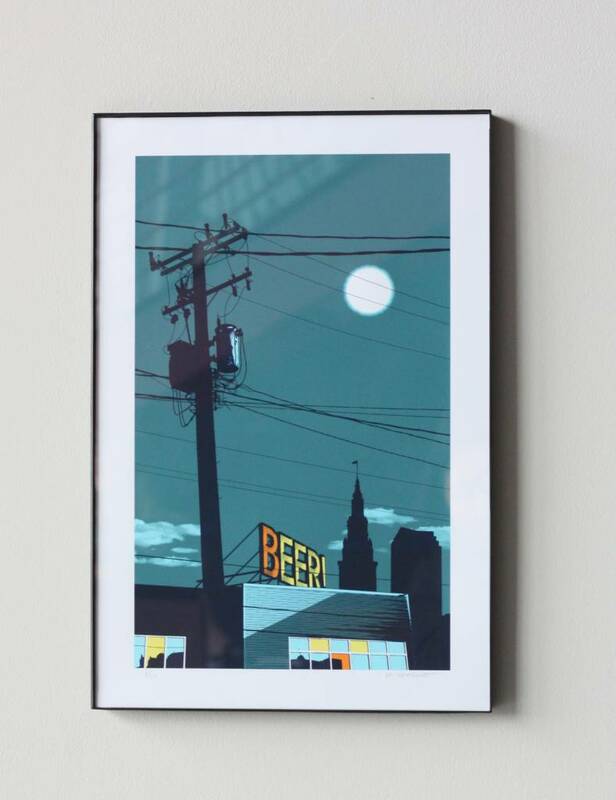 12x18 inch artist screen print depicting Ohio City's newest landmark, the MGB marquee BEER! sign located on top of our Store & Tours / Production Brewery. 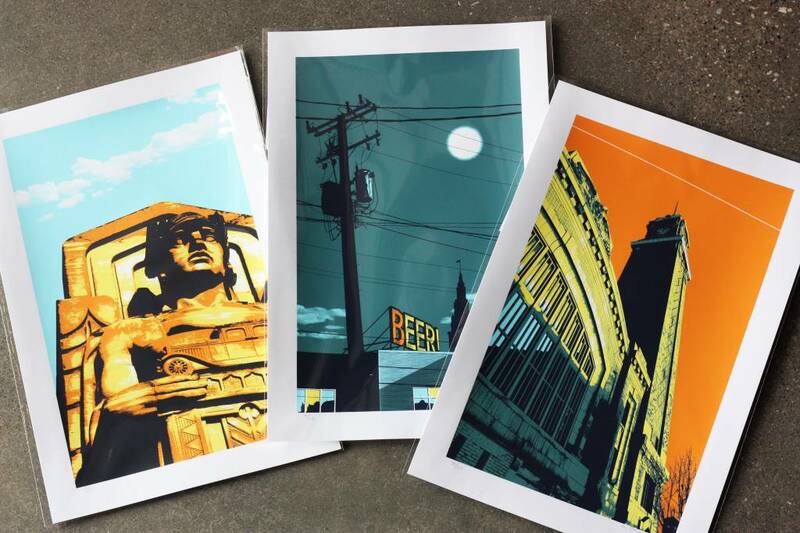 Illustrated and printed by hand, by creative Cleveland artist, Mark Barbant.